`Fifteen men on the dead man's chest-Yo-ho-ho and a bottle of rum!' 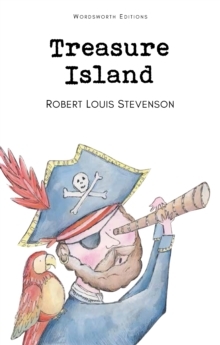 Treasure Island is a tale of pirates and villains, maps, treasure and shipwreck, and is perhaps the best adventure story ever written. When young Jim Hawkins finds a packet in Captain Flint's sea chest, he could not know that the map inside it would lead him to unimaginable treasure. Shipping as cabin boy on the Hispaniola, he sails with Squire Trelawney, Captain Smollett, Dr Livesey, the sinister Long John Silver and a frightening crew to Treasure Island. There, mutiny, murder and mayhem lead to a thrilling climax.